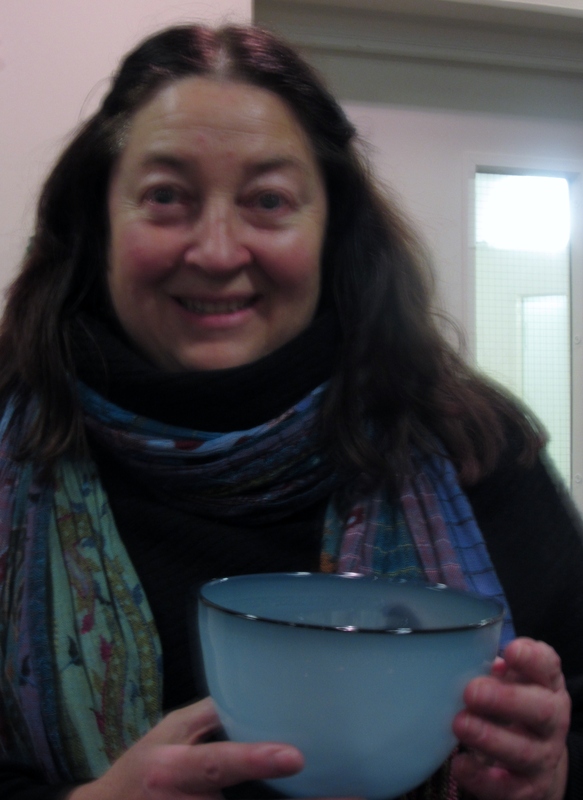 Mary Gurr is now the possessor of the Keith Francis Bowl! On Tuesday 14th. December we will be celebrating at the Cam den Centre with a celebration of Keith Francis’ poetry. There will be readings of some of his poems, and his collection, The Greengrocer’s Apostrophe, will be available. The prizewinner of the folio competition, Mary Gurr, will be presented with our new glass trophy, created in Keith’s honour as our much-missed secretary and fellow poet. There will also be a fun quiz. Refreshments provided, as usual! Remember, too, that our closing date for the 2014 competition is at the end of January, with a top prize of £1000 – so focus on your writing after Christmas and give our judge, Pascale Petit, your impressive poems to read.